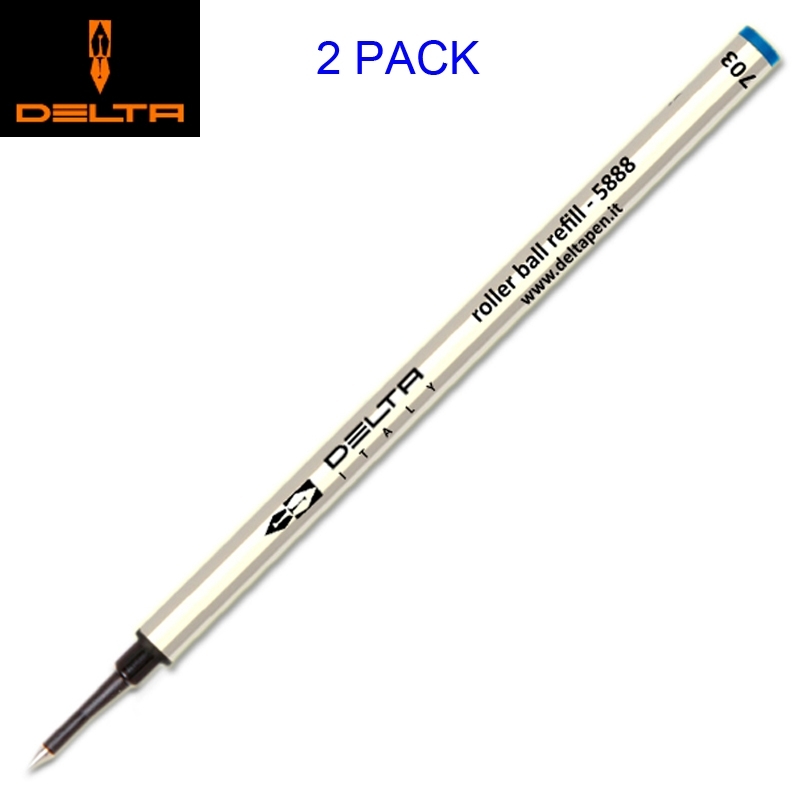 Delta 5888 Medium Tip Blue Ink Metal Body Safety Ceramic Roller Ball Refill. 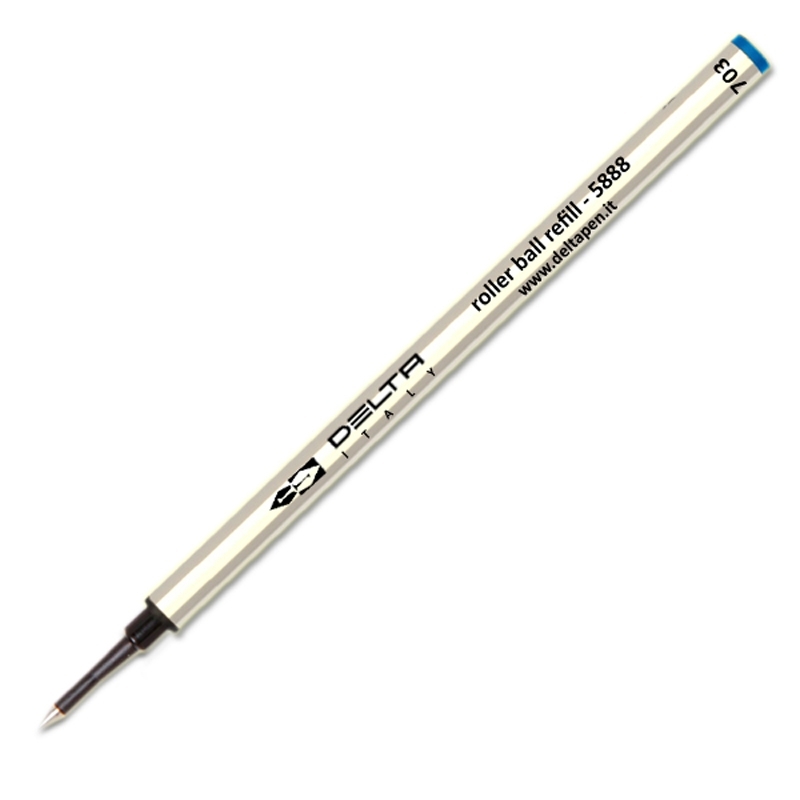 Acme, Aurora, Bexley, Bossert & Erhard, Caran d’ Ache, Colebri, Conklin, Conway Stewart, Delta, Diplomat, Faber-Castell, Itoya, Jean-Pierre Lepine, Lanier, Marlin, Montegrappa, Monteverde, Pentel, Retro 1951, Recife, Rotring, Stipula, Visconti, Waterford, Waterman, Yafa, Yard-O-Lead, and many other roller balls made in U.S.A., Taiwan, Korea and China. 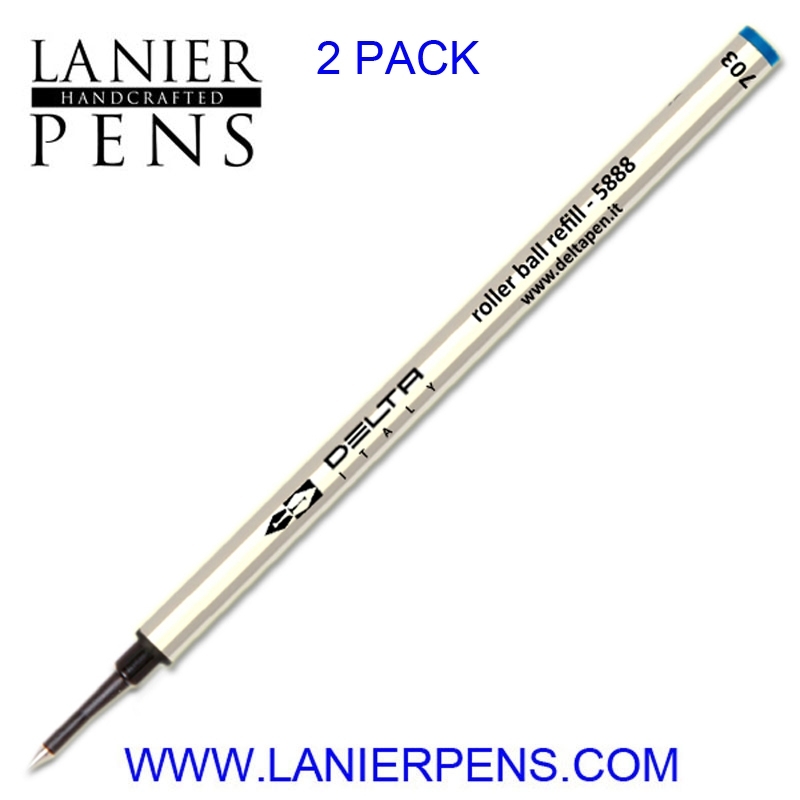 Fits 98% of all Rollerball pens that accepts a standard size refill.